There are times where you’ll realize your swimming pool may be in need of a rejuvenating facelift. The reasons behind your sudden realization may range from the damage done by the weather, the passage of time, or the desire for something new. Whatever the reason, know that you’ll find convenience, expertise and professionalism at Seahorse Pools & Spas. At Seahorse Pools & Spas, we understand everyone has different needs and ideas for their pool and we work hard to fit them all into your renovations. Once you’ve decided to remodel your pool, our renovation specialists will form a plan of action to offer you what you’ve always wanted. We will visit your home and evaluate your pool, the damages it may have been subjected to, and the aesthetic changes you want to make. Through this process, we will keep your backyard and budget size in mind to work within your boundaries to keep you pleased. No other company in the metroplex offers you the one-stop convenience, know-how, and expertise to cover your backyard needs from start to finish…except for Seahorse Pools and Spas. Ready for a pool makeover? We understand your desire to keep your swimming pool looking beautiful and we work hard to fit your every need. If you’ve decided to take the plunge into a swimming pool remodeling project, contact Seahorse Pools & Spas to take care of the hard work. 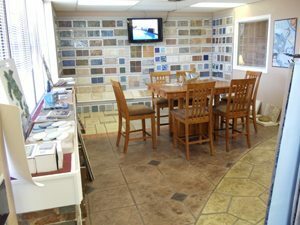 To schedule a meeting with our knowledgeable remodeling team, call 817-244-1310.